Announcement Thank you so much for stopping by our shop! We currently have a ONE to TWO business day turn around time on all invitation proofs and digital party designs. Handcrafted items have a 5 to 6 business day turn around time after your proof is approved. Instant downloads are available for download immediately after purchase in your Etsy Purchases. If you have any questions, please let us know. We are always happy to help. Thank you so much for stopping by our shop! We currently have a ONE to TWO business day turn around time on all invitation proofs and digital party designs. This product is so cute, I love it. She was so helpful customizing this for our lil! Have a child who loves all sports, not just one? Celebrate their next birthday with our all star sports birthday designs. Then, they won't have to just pick one. Giving some restaurant gift cards this holiday season? 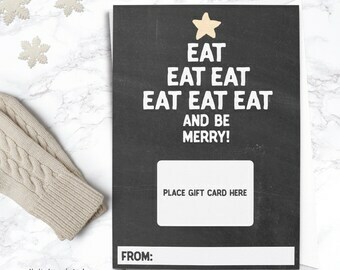 Our instant download restaurant gift card holder is the perfect way to say Merry Christmas to a teacher, neighbor or someone sweet. And they get a night off of cooking. A win win for everyone. These handsome tags are sailing out of the studio today. Hoping they add some extra sailing fun to this little guy's birthday. Ahoy! Our studio is full of crafting essentials, inspirational art and quotes from my mentors. We offer a variety of free printables on our website to make your celebrations shine! How you celebrate is up to you! Choose from printable or handcrafted designs to create a party that fits your needs. New to party crafting? Check out our detailed tutorials on our website for easy directions. Creating memories one party at a time. Here at Katarina's Paperie, our goal is to make party designs keeping our littlest customers in mind. Whether you’re looking for beautiful children's birthday party invitations, matching custom décor to make them feel extra special or even a games and crafts to keep your guests busy, you’ll find a variety of designs made for one reason alone – to create memorable childhoods. We are a girl meets boy kind of story. Except in our version, it’s a girl meets adorable new baby daughter. When my life changed that August day, I realized that I had somebody very special to create memories for. Unfortunately, I struggled with finding a place that had designs dedicated solely with her in mind and that let me create the celebration how I needed it. And so in the summer of 2012, my new little stationary boutique, Katarina’s Paperie, opened. The most important thing we've learned since our opening in 2012 is that not every celebration is the same. Some are big. Some are small. Some have large budgets and some are thrown together on a shoe string. At Katarina's Paperie, how you celebrate is up to YOU! Order printable invitations and party décor to craft yourself or save money. 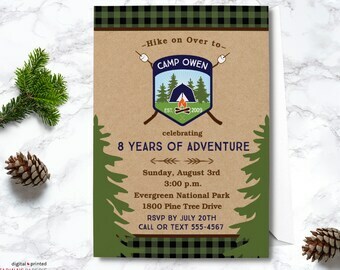 Or have us print your invites and make party items for a handcrafted look. No matter which way you choose, you are sure to throw a memorable celebration for your child. As a professional graphic designer, our custom designs are skillfully crafted with precision in mind. Your party designs will be carefully customized to meet your specifications and needs. We work hard to make sure every detail is perfect so your items are ready for your big day! I am so lucky to be using my talent and skills to do something that I love. Thank you for letting us add a special touch to your child's celebration. It means so much to me. I am the owner and designer of Katarina's Paperie. We design whimsical designs just for kids. Thank you so much for choosing Katarina's Paperie. We are a stationery studio that specializes in creating whimsical party designs just for kids. At Katarina's Paperie, you choose how you would like your designs delivered - fast digital delivery or handcrafted with love - to let you create any size celebration. We pride ourselves in making your party planning experience fun and easy. If you are not completely satisfied with your purchase, please let us know as soon as possible so we can correct the problem. We look forward to working with you to make your party perfect! Due to the nature of our designs, we do not accept returns of any of our printed or digital party designs. We are not responsible for any orders that contain incorrect information due to customer error. We are also not responsible for orders with errors that were approved by the customer. Once your proof is approved and final file is sent, your designs are completed. Any additional changes needed because of customer error incur a design fee to account for our time. Changed your mind about your order? Orders may be cancelled up until the time the proof is started. This window varies based on current turn around times. If you no longer wish to proceed with your order, please let us know as soon as possible so we do not begin work and can proceed with a refund. Please note that we no longer accept cancellations for Custom Orders due to the time and cost of creating them for you. We accept all major credit cards. If you live in Pennsylvania, your purchase is subject to a 6% state tax. You are welcome to cancel your order for a full refund as long as it has not yet been started. If you have any questions about if you can cancel your order, please let us know. Our current turn around times are listed in the Announcements section of our shop home page. Invitation Proofs - Once your proof is approved, we attempt to send final files by the close of that business day or the morning of the following business day. Our shop is open Monday through Friday (unless otherwise noted). We are closed on Federal holidays and weekends. These do not count as business days and if approved on these days, your final file will not be sent until the next BUSINESS day. Digital design orders are sent to the email we have associated with your order via our file delivery service Hightail. You will also receive a link to your digital order in your delivery email. Your link is good for up to three months after ordering. After that, the link expires and your original file is erased. Please be sure to download your file within that three month window. Handcrafted orders are crafted and packaged by hand in our studio. We currently offer free first class shipping for all handcrafted orders in the United States. If you need your order sooner, we can provide a priority mail shipping upgrade for an additional fee. It is important upon ordering that you provide the correct shipping information. We are not responsible for items shipped incorrectly provided addresses. All mailed orders include tracking information and delivery confirmation for easy monitoring of your package's progress. International Order? We currently only ship digital orders internationally to guarantee that they arrive on time. We currently only complete orders in ENGLISH. Sorry, but cannot accommodate other languages at this time. Proofs are sent with your invitation and handcrafted design orders. To speed up the proof process, please include all necessary personalization information when submitting your order. Your proof is created based on the information provided. If information is missing, there could additional delays to getting order finalized. Your order includes one proof and one revision. If more changes are needed, a fee of $4.00 for an additional proof will be added to your order. For digital party decor packages and individual printable party designs, please let us know your child's NAME and AGE in the Notes section upon checkout. Final files for these digital designs are sent without a proof. Please let us know if there are any errors and we will be happy to fix them free of charge. We ask that ALL communication about your order goes through Etsy. This helps us keep additional information with your order. If you have ordered an invitation with a photo, please attach ONE photo to an Etsy conversation. For digital orders, your final file will be sent to the email address we have on file. If you would like it sent to another email address, please let us know upon checkout. Your digital order includes ONE FILE TYPE - PDF or JPEG. We are not responsible if you order the wrong file type. JPEG files are single invitation images that are used for photo printing, emailing or single cardstock printing. PDF files are two invitation layout that is used for cardstock printing at home or your local print shop. Please note that the PDF file is a LOCKED file to protect our designs. It MUST be printed using Adobe Acrobat Reader. You cannot use a graphics program to print. If you are not sure which file type to order, please feel free to contact us and we will clarify the options further. If you are planning on printing your order at VISTAPRINT, please note that their measurements for their invitations are different. 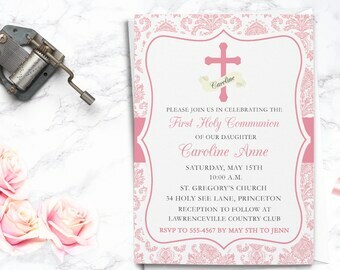 It is important that we know that you are planning on having your invitations printed here BEFORE we create your invitation, so that we can resize your invitation accordingly. When ordering invitations and notecards, digital file types are sent as the same file type unless otherwise noted. All of our digital party designs (with the exception of some chalkboard designs) come as PDF files only. This is the file type most requested by print shops and can be easily be printed at home. 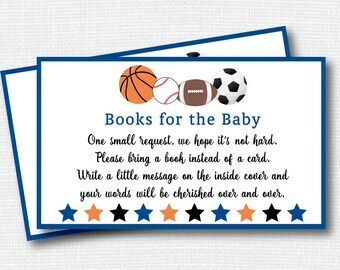 Invitations and thank you notes come is 5" x 7" or 4" x 6". The size MUST be decided upon checkout. Unfortunately, we are unable to resize invitations once the proof is completed and the final file is sent. In addition, the size of your invitation and thank you note will be same unless otherwise noted. The colors you see on your monitor may vary in the colors of the final printed product. Depending on the printer you use and paper chosen, these colors will be slightly different. We recommend viewing ALL files and proofs on a desktop computer. Tablets and portable devices will skew colors. We are not responsible for any technical issues you might have using our files. We currently only complete orders in ENGLISH. Sorry, but cannot accommodate other languages at this time. Check out our free tutorials section on our website for detailed instructions on how to craft all of your printables. To fulfill your order, you must provide me with certain information (which you authorized Etsy to provide to me), such as your name, email address, postal address, payment information, and the details for the product that you’re ordering. You may also choose to provide me with additional personal information (for a custom invitation, for example), if you contact me directly.